CONCORD, N.H. -- It's official: The New Hampshire presidential primary will be held on February 9, maintaining the state's first-primary-in-the-nation status and making the entire 2016 primary calendar now formally set. The New Hampshire primary, the first contest of its kind in the 2016 nominating process, will be held eight days after the Iowa caucuses on February 1st. Secretary of State Bill Gardner formally announced the long-anticipated date on Thursday at a ceremony at the state house. New Hampshire officials unveiled the date with a poster commemorating the 100th anniversary of the contest. While it was no secret the primary would be held on that day next year, it's Gardner's role to set the date, and he did not actually make an official announcement until Thursday. 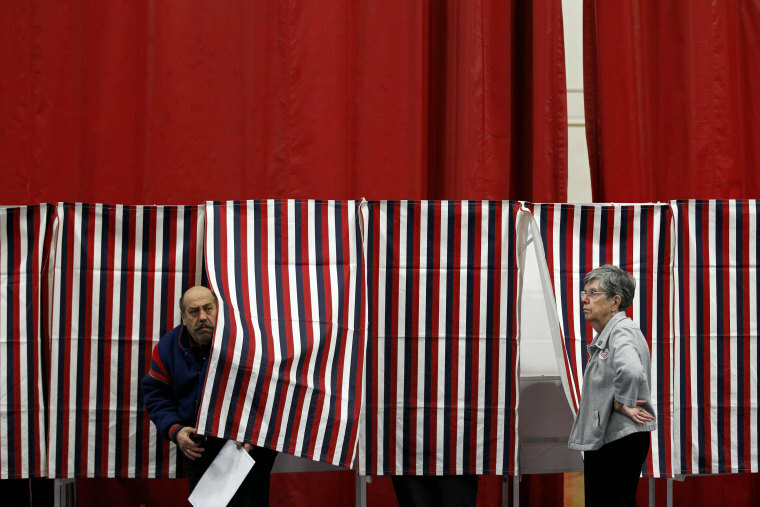 In prior years, the setting of the date of the primary involved more contentious elements, as other states threatened to move their caucus or primary voting dates forward in the calendar and threaten New Hampshire's early state status. February 9th is a later date for the primary than the last few elections, when dates were moved up as other states jockeyed to gain influence. But through history, Gardner said the primary was held in March fifteen times, eight times in February, and three times in January. Once he has set a date, it has never been changed. Gardner waited until this late - December 16th - to make the day official, saying he was waiting for other states to put their voting dates on the books. In addition to the unveiling of the commemorative poster that displayed the date of February 9th, Gardner also showed off what 2016’s primary ballots would look like – both the machine ballots and hand-counted ones. Next year marks the 100th anniversary of New Hampshire’s presidential primary, and in four years, the state will mark the 100th anniversary of being first in the nation. On Thursday, Gardner defended the role New Hampshire plays in voting first, pointing to the high turnout and high level of engagement among the population. “It’s a pretty rare occasion when a state has a primary that has a turnout that is more than half of the voting age population and we have had that in the past and I’m expecting that we will have that again this time,” he said. Plus, he noted, since 1952, the person who was ultimately elected president either came in first or second in New Hampshire’s primary.